Take a walk around town and the one gadget that you'll most likely see just as often as a smartphone, is a power bank. As devices grow more power-hungry, the need for portable power banks have similarly increased. 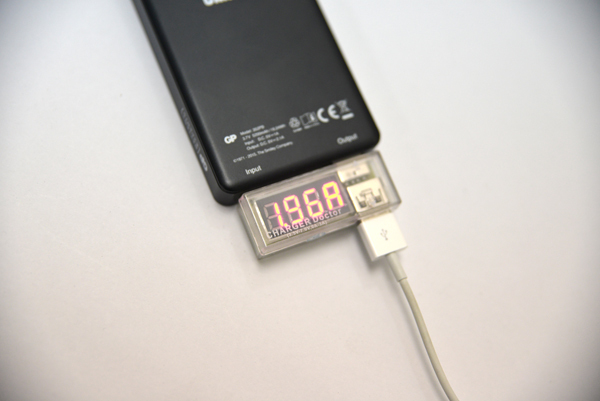 With everyone owning a power bank, why not make yours something unique? With the GP x SMILEY Limited Edition Portable Power Bank, you'll definitely stand out from the crowd. 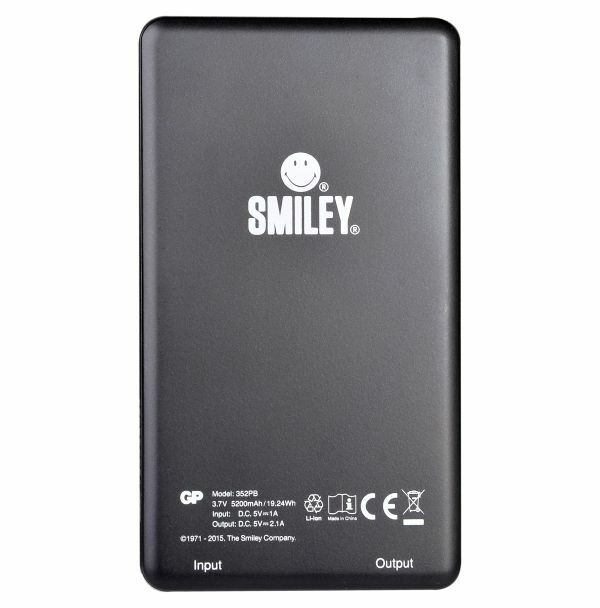 This power bank is painted black all around, with a huge smiley face at the front. The status LEDs and power button are also located here, so it's easy to see just how much juice is left in this power bank. Both the input and output ports are located at the bottom. Equipped with a 5,200mAh Li-Po battery, this power bank is able to recharge a multitude of smartphones, as well as tablets with ease. According to the marketing material, this power bank is able to output up to 2.1A, and has an input of 1A. What this means is that you'll be able to (roughly) fully charge devices with 2,000mAh batteries twice, and because this power bank is able to output 2.1A, it will be able to charge devices with larger battery capacities (like tablets) faster. For those of you who have devices that support fast charging, this power bank will likely be able to support it, but it depends on the device and what fast-charging technology it's equipped with. 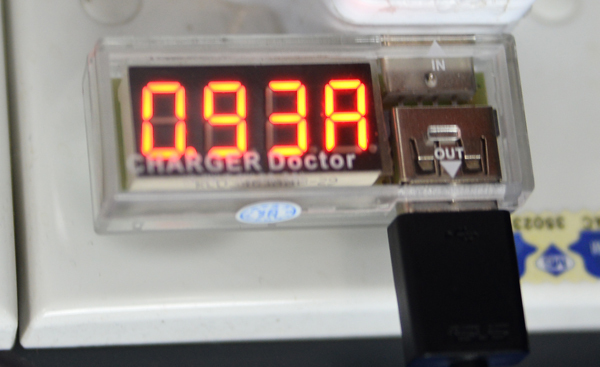 To test this battery bank, we used a USB voltage meter and measured the output when charging a nearly depleted iPad mini 2. In addition, we also measured the input when charging the power bank itself, when drawing power from a USB wall charger that output 2.0A. After several attempts to get an average, we found that this power bank managed to output a steady 1.96A when charging the iPad mini 2. 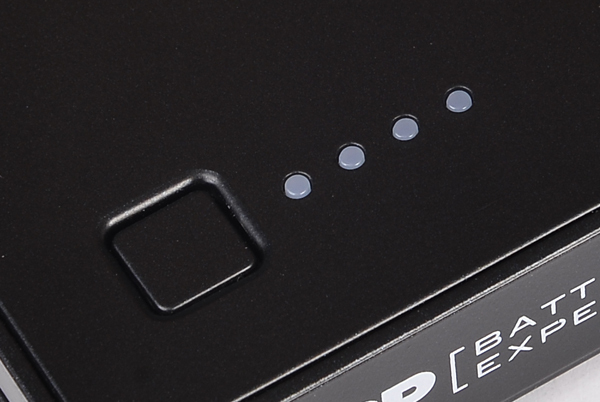 While we didn't see a draw of 2.1A, we are certain that this power bank is indeed capable of an output of 2.1A, as long as your device supports this amount of Amps. As for input, we noted an average of 0.93A, which once again, comes close to the advertised draw of 1.0A. In a nutshell, this means that the GP x SMILEY Limited Edition Portable Power Bank is a pretty good option if your have a tablet or smartphone that has a battery capacity of about 2,000 to 3,000mAh. This power bank will be able to charge devices with a depleted 2,000mAh battery for approximately up to two times, but if you have device that has a 2,500mAh battery (or more), you're looking at probably one full charge, and maybe up to 60 percent on the next. When it comes to charging capabilities though, this power bank does indeed support an output of up to 2.1A, which means that you'll be able to quickly charge devices that have inputs of the same nature, but generally speaking, it's always good to have a power bank that has a higher output rating. Aesthetically, this power bank definitely stands out, so you'll definitely know which one's yours when you're on a trip with friends. All said and done, if you're looking for a good power bank that's easy to use, reasonably portable, and has a healthy amount of capacity, this power bank fits the bill. It's also worth mentioning that this power bank comes with a host of protection built-in, including over/under temperature, short circuit protection, and over power protection. Needless to say, the GP x Smiley Special Edition Power Bank is a solid option. GP x SMILEY Limited Edition Portable Power Bank Giveaway! 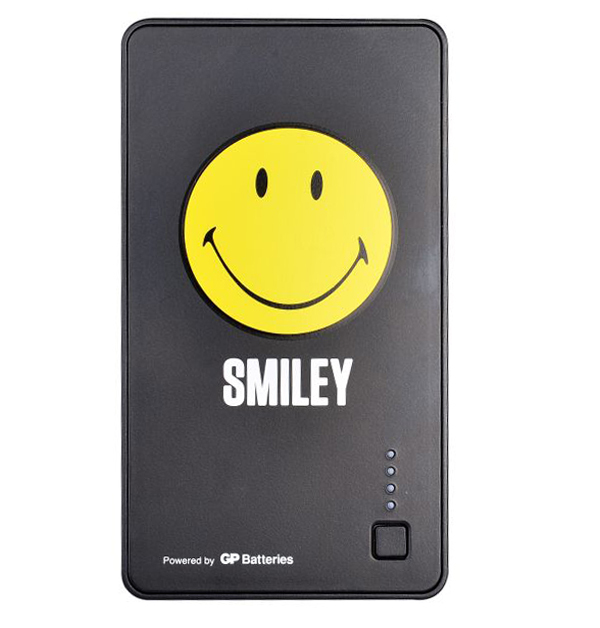 Want to get your hands on your very own GP x SMILEY Limited Edition Portable Power Bank? Well, you're in luck because we're giving away 12 units of the GP x SMILEY Limited Edition Portable Power Bank. More details on how to win one, right here!